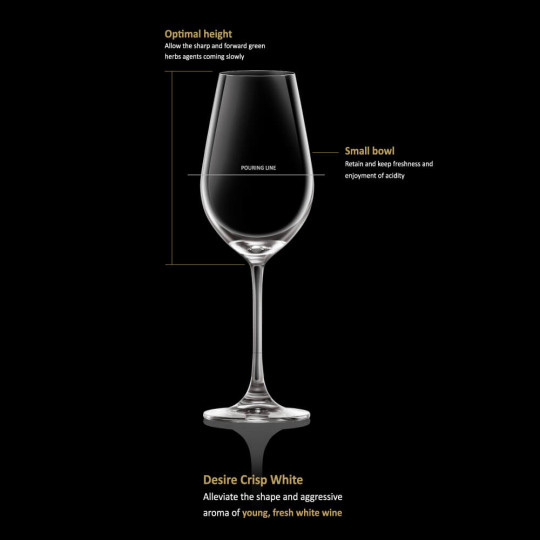 All of you should have been drinking wine for a while, however, have you knows before about the wine glass? how important is each part of it? and how to actually hold it? 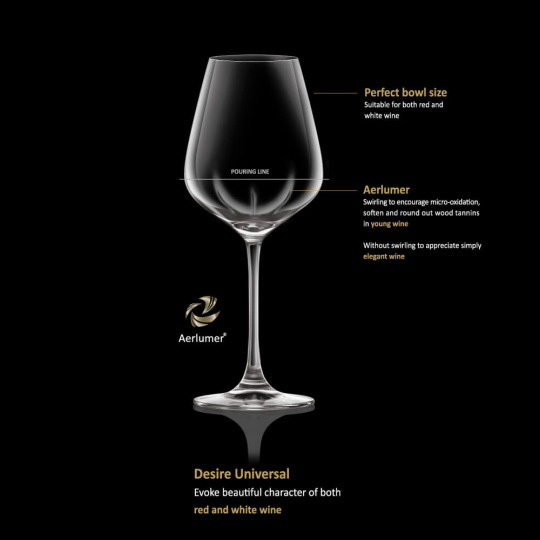 When you go to glassware shops or wine shops, you will find varieties of wine glasses, many types and many shapes. But there is something in common among all of them, it is the stem. 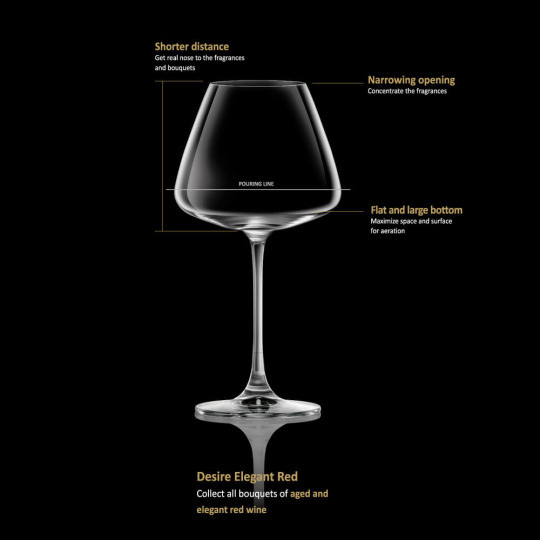 Wine glass stem apart of being a part the beauty of design, it is the component that helps you carry the glass within touching the wine directly. That is because temperature of your hand can pass on the heat to the wine and affect its taste, dramatically if it is a premium red wine and white wine that requires a breezing taste of cold chilled wine. YOU KNOW HOW TO HOLD BUT HOW TO USE THEM? 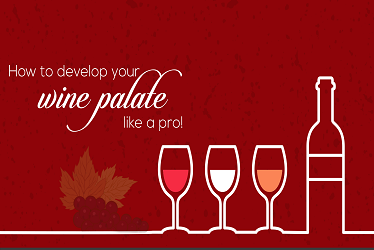 For aged and elegant red wine, for example some premium chateaux from Bordeaux. 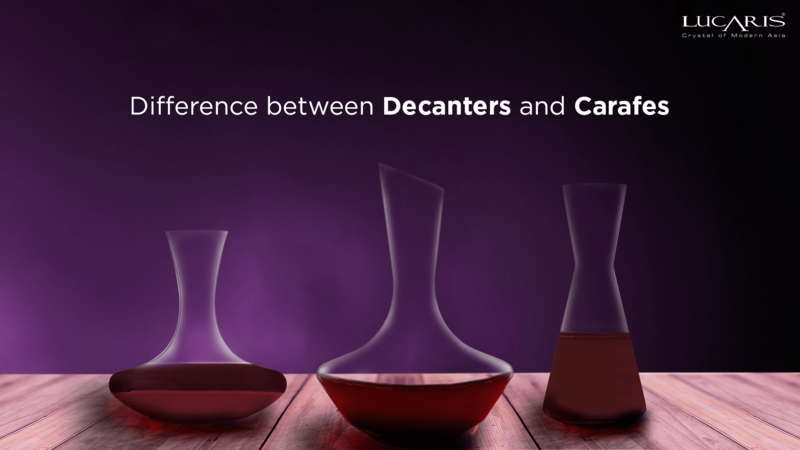 Flat and large bottom of the glass, together with shorter distance from wine mouth to the wine pouring level, this will get the best out of wine fragrances and bouquet, also maximise the aeration process. 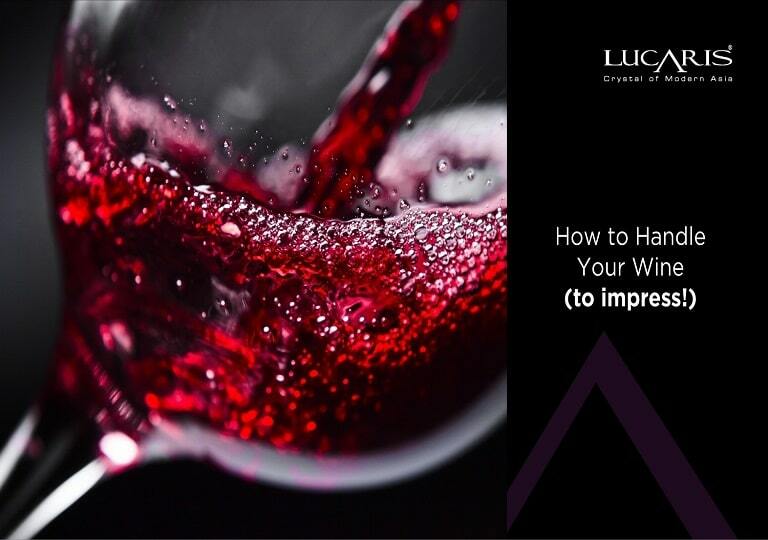 For young, full-bodied red wine, Syrah and Cabernet sauvignon would be a great variety to try this glass. It will help contain aroma of wine, providing larger room with its oversized bowl for wine to breath and show its true self to you. 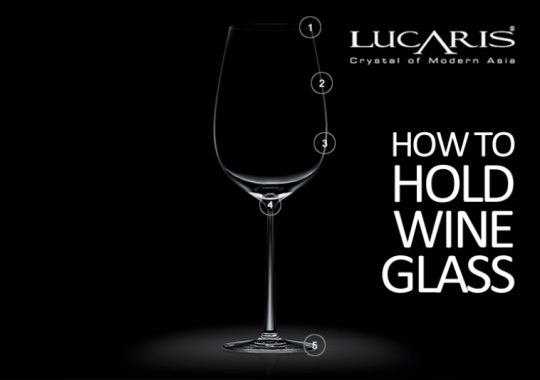 In addition of Aerlumer technology that soften the wine, enhancing the process between wine and air. For full-bodied white wine, like Chardonnay. 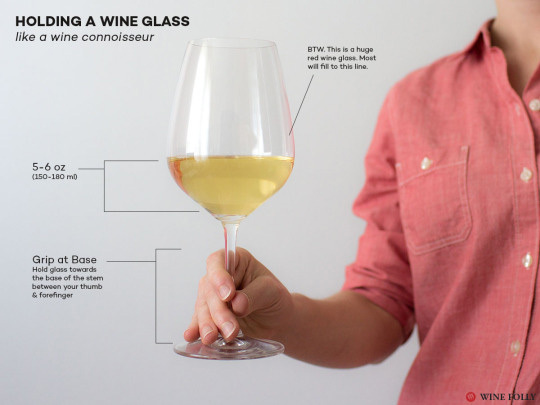 This glass will definitely express fruit agents within the wine to you more than ever. 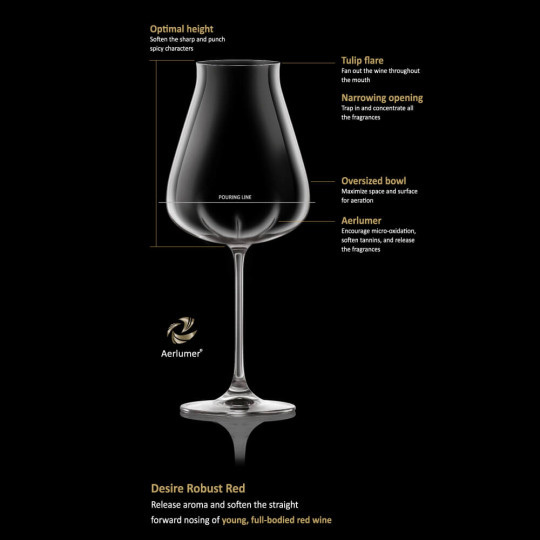 The Allurer technology will help the microxidation process between wine and air, soften the tannins and release more of its fragrances and flavours. For young white wine, something like Sauvignon blanc and Riesling. 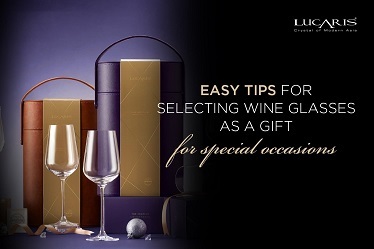 This glass will help you to drink those young wine with more pleasure. The smaller bowl helps retain and keep freshness and enjoyment of acidity. Great for all type of sparkling wine to the premium Champagne. 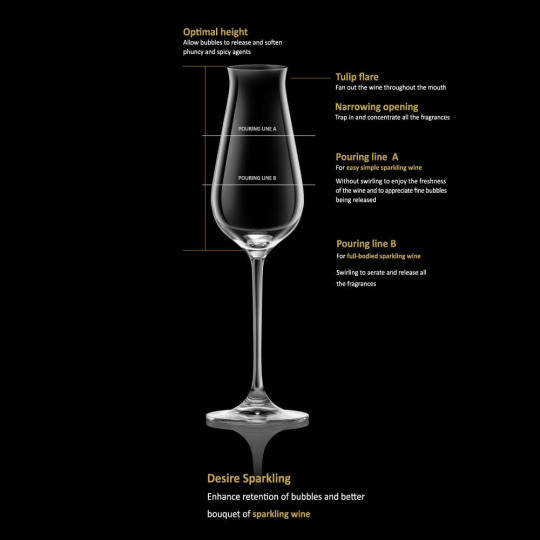 The glass was designed to allow the bubble to release and soften with the tulip flare fan out, allowing the wine to be tasted throughout your mouth. 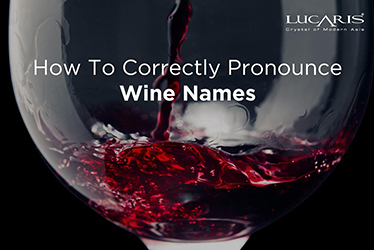 There are 2 recommend pouring line for this type; Line A for easy simple sparkling wine that you do not need to swirl to wake it up while, Line B is for the full-bodied parking wine that you need to aerate them to release the fragrances. This is the perfect desire to use for both Red wine and White wine, along with dessert wine. 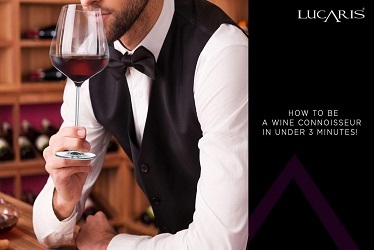 Allow the wine to interact more with the air, encourages the micro-oxidation process while swirling as it diversified interaction between wine and air, intentionally subtle to avoid effects when discovering colours of wines and also able to soften the tannins and releasing more fragrances of the wine. 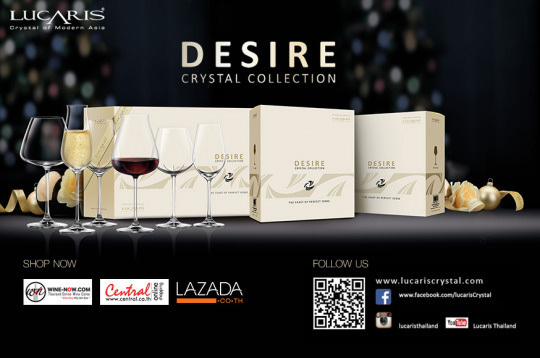 You can order Lucaris Desire Collection form leading retail stores and online channels via; Wine-now.com, Lazada, CentralOnline.